IMCDb.org: 1998 Chevrolet C-3500 in "55 Degrees North, 2004-2005"
But, this one have a repeater on the fender. @ford_guy: Have you seen right hand drive Chevrolet trucks like this? rjluna2 wrote Have you seen right hand drive Chevrolet trucks like this? Is it definitely US made? Did anything similar come from eg South Africa? 1995+ aero fourth generation. Has post 1995 model year interior, although I can’t tell if the dash is full length. dsl wrote Is it definitely US made? Did anything similar come from eg South Africa? @Edit: Oops, Neptune was faster than I am. WPU plate is Chelmsford (Essex) - the other end of England from Newcastle - which might give a clue for where it was converted/fitted out? 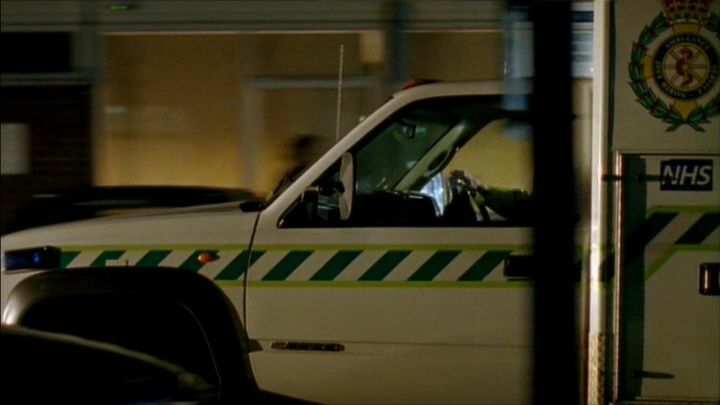 DVLA plate check site is down, but others call it a 1997 Chevrolet GMC ambulance, 6500cc diesel. It must be made for the UK as I have seen other American trucks in service with the London Metropolitan Police which also have right-hand drive. These were 1998-1999 Wheeled Coach models sold in the UK.